(June 6, 2016 By The Wall Street Journal　Sumathi Reddy) On the Pearland Little League team in Texas just about every 12- and 13-year-old takes his turn on the pitcher’s mound. This is one strategy coach Andrew Solomon, whose team placed second in the country in the 2015 Little League World Series, has taken to avoid the increasingly common elbow and shoulder injuries that plague youth baseball players. Mr. Solomon’s rigidity with adhering to established Little League rules such as pitch counts and days of rest, along with plenty of stretching, strength training and making sure each pitcher has proper form have made his team injury-free in the six or so years he has been coaching them. Surgeons are seeing big increases in young players with damaged ulnar collateral ligaments (UCL) in the elbow, says Brandon Erickson, an orthopedic surgeon resident at Rush University Medical Center in Chicago who has studied the issue. A UCL tear is an overuse injury of the elbow. The surgery to fix it is commonly referred to as Tommy John surgery after the first baseball player, major league pitcher Tommy John, to undergo reconstruction surgery for the injury. The surgery involves remaking the UCL with a tendon from another part of the body or a donor. Older teens, age 15 to 19, accounted for significantly more Tommy John surgeries than any other age group in a study in the American Journal of Sports Medicine last year. Dr. Erickson and colleagues analyzed a database of 790 patients who underwent the surgery between 2007 and 2011. They also found that rates of surgeries among 15- to 19-year-old patients were increasing more than 9% a year. James Andrews, an orthopedic surgeon and chairman of the board of the American Sports Medicine Institute, has spearheaded many of the efforts to create pitching guidelines. Youth baseball injuries to the shoulder and elbow have gone up five-to sevenfold since 2000, he said. In 2000 he did maybe eight or nine Tommy John surgeries on children and teens a year. Shoulder injuries are common too, he says, and can include injuries to the rotator cuff and tears in the labrum. Surgeons are often more reluctant to operate on the shoulder because the success rate is much less than it is for the elbow, he said. A group of medical experts, including Dr. Andrews, convened by the Major League Baseball Commissioner devised pitching guidelines in 2014, called Pitch Smart, which are broken down by age. They determined that 7- to 8-year-olds should pitch a maximum of 50 pitches in a game. The numbers increase up to 105 pitches by age 17. 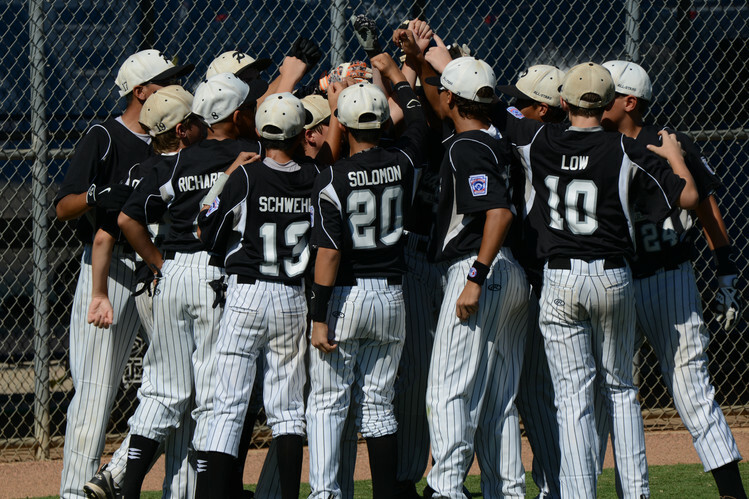 The guidelines have been adopted by most national youth baseball programs, including Little League, which has had its own, similar guidelines in place since 2007. A problem is that even though most teams abide by the pitching guidelines, many youth baseball players are playing on more than one team at a time. The treatment for Little League shoulder is resting it for three months, which is essentially a season. Some doctors will also prescribe physical therapy. Children shouldn’t have any pain or soreness in their shoulder or elbow during or after a game, says Eric Small, medical director of sports medicine at Westchester Health Associates in Mount Kisco, N.Y. He advises against pitching and catching in the same game. He also recommends that pitchers play other positions and that children play different sports to develop other muscle groups. Dr. Andrews’s best advice to parents and players: don’t play year-round baseball or on more than one baseball team at the same time. He also advises against pitching curve balls until a player can shave, around puberty. “We recommend that they not specialize in one sport until they’re a senior in high school,” he says.